ABSTRACT: In the age of global climate change on planet Earth, much depends on thoughts, words and actions of every person. The state of society forms as a result of the inner state of each individual. The outer reflects the inner. Statistical data of climate change over the past several decades were reviewed, and it speaks of the fact that mankind has entered the period of irreversible climate changes. Understanding the real climate situation in the world is an incentive for unification and strengthening of the best human qualities in the global community as well as a possibility to benefit from what is temporal for the eternal. 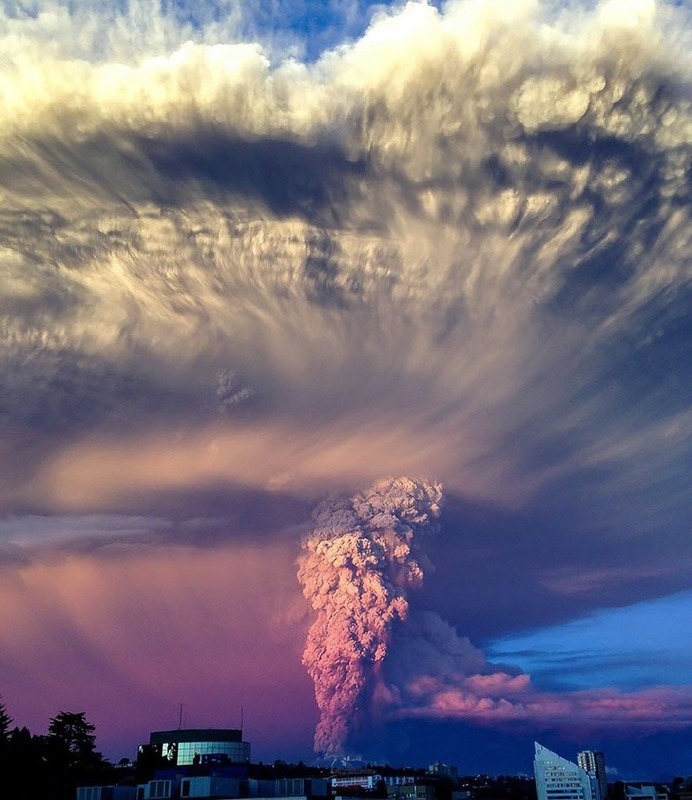 Planet Earth experiences natural cataclysms every day. 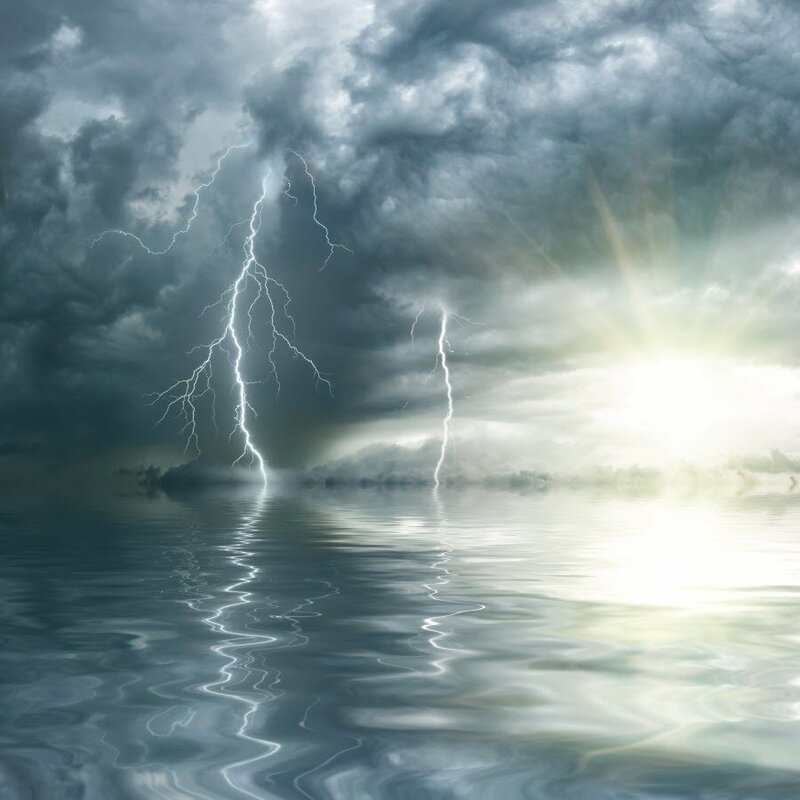 In recent time, their number and strength have been on a rapid rise, just like the number of natural anomalies in different places of the globe. Each day brings an increasing number of direct hazards, which threaten the meekness and serenity of the lives of its inhabitants. Suffice it to mention the gradual activation of the Yellowstone Supervolcano, about the causes and consequences of which you can read in the report of the international group of independent scientists ALLATRA SCIENCE: "On the Problems and Consequences of Global Climate Change on Earth. Effective Ways to Solve These Problems" . Nature poses serious challenges to the whole population of the Earth, which also means each individual. So the question arises: what to do about it? How can a simple person correctly perceive and react to what is happening with the planet today? Where to find solutions? Let’s figure this out together. In the light of broad media coverage of climate changes, natural cataclysms and events related to this, as well as implantation into human consciousness of certain models of perception of such information by mass media, facts about climate catastrophes often cease to become something extraordinary. On the contrary, they cause panic or fear. Thus, on the one hand, we have the formation of the false sensation that “it’s happening somewhere else, but not here”, “this will not affect me personally”, and “this won’t happen to us”. On the other hand, the opposite model is being activated: “How terrifying it is to live”. These two models of perception (and presentation) of information about natural cataclysms, being actively promoted by the system, form a kind of a two-edged sword, which doesn't give a person a way out of the situation and erases a sane understanding of the present situation, which people really need, especially in the light of modern events. After all, each person has the right to comprehend not only what is really going on with the planet, what kind of processes are underway and what stage they are at, but also why this is happening understand the deeper causes and moreover, how it affects his life at the personal level, what to do about this, and how to react to this in the right way. Answers to these essential questions are found, to a large degree, not in the realm of scientific facts but in the spiritual and moral field of human activity. It is not profitable for mass media outlets to cover these things. This is related to the fact that if people understand the real answers, this will lead to the global change of the vector of development of the entire society from the consumer oriented society (profitable to the system) to the spiritual society of creation (beneficial for the people). Only from the perspective of a spiritually moral society can a person, as well as the entire humanity, react already today to the situations in the most appropriate way, and as a consequence, form its most acceptable further development. The knowledge the Person needs for this about the structure of such a society is given in the book «AllatRa», especially in its last 80 pages . Today, that filter which the mass media is using to cover changes in nature, excludes the above-mentioned right to understand the deeper causes in the true sense of the word as well as the right to comprehend the “why” of it, since coverage is one-sided in order to form a certain kind of thinking. Information is presented in such a way as to implant into consciousness the models of perception the system needs, and as a consequence, the required reactions and modes of behaviour. This is precisely why it is so important today to create such informational material that would give truthful and honest information about climate events in a broad perspective and, most importantly, from the standpoint of a spiritual society of creation – from the perspective of understanding why all this is happening. It is important to form among the people a healthy way of perception of the real climate situation on the planet and its inner causes, which imply, first of all, the moral and spiritual STATE of the society. And the state of society forms from the state of each person. Directing the public attention to specific examples and facts, which point to the real nature of the irreversible processes that are now taking place, but covering them from the perspective of creation, one can form the right, healthy, and clear attitude towards the situation. The attitude, which helps man himself to grow, to realize what exactly in this life has meaning and what does not, what is false and temporal and what is real and eternal, to create changes for the better inside oneself, to attain spiritual state, and to help others in this. Let’s review the statistical data provided by the world’s official scientific institutions. After all, the collected information makes it possible to analyse the tendencies and the degree of intensity of individual dangerous natural phenomena in different parts of the planet. These facts are the reality of today. Fig. 1. Graph with the number of natural catastrophes in the world from 1920 until 2015. It is based on EM-DAT database. This graph clearly demonstrates a significant increase in the number of natural cataclysms in the world, moreover by dozens of times. EM-DAT is a global database of natural and technological catastrophes, which contains data about more than 18,000 cases from all over the world from 1900 to present time. EM-DAT is supported by the Centre for Research on the Epidemiology of Disasters (CRED) (Brussels, Belgium). Fig. 2. 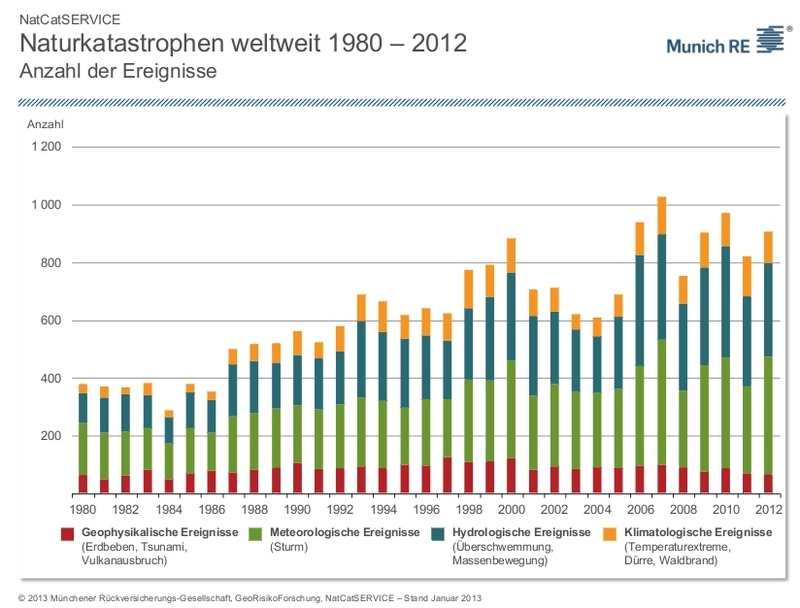 Graph of the number of natural disasters in the world from 1980 to 2012. It is based on NatCatService database. Fig. 3. Graph of volcanic activity in the world from 1875 to 2004. It is based on a catalogue of volcanoes by Smithsonian Institution. This graph represents seismological activity with the index of volcanic explosivity from one and above. It can be seen that from year to year the dynamics are steadily increasing. Smithsonian Institution (USA) is a state scientific research and educational institute, among the projects of which is “The Global Volcanism Program” that aims to collect and analyse data about volcanic activity on the planet. On the programme’s website, there is information about the latest eruptions and also a navigator which allows one to track eruptions in different regions of the planet. Fig. 4. 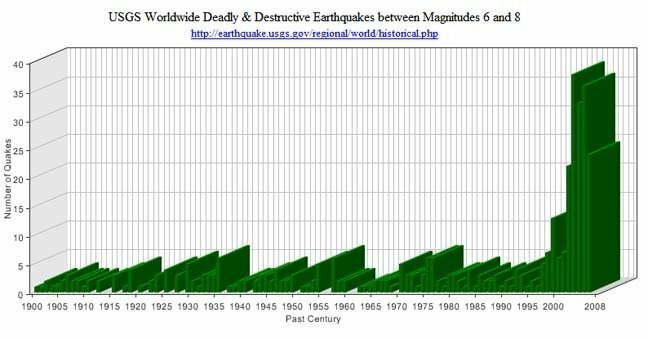 Graph of the number of deathly and destructive earthquakes in the world with magnitude 6-8 from 1900 to 2008. It is based on USGS database. This graph shows a sudden shift in the number of powerful earthquakes starting from 2000, which indicates the level of perturbations in the septon field of the Earth. Fig. 5. Cumulative graph of the number of earthquakes in Japan with magnitude 4 or higher from 1964 to 2012. Based on ISC database. Fig. 6. 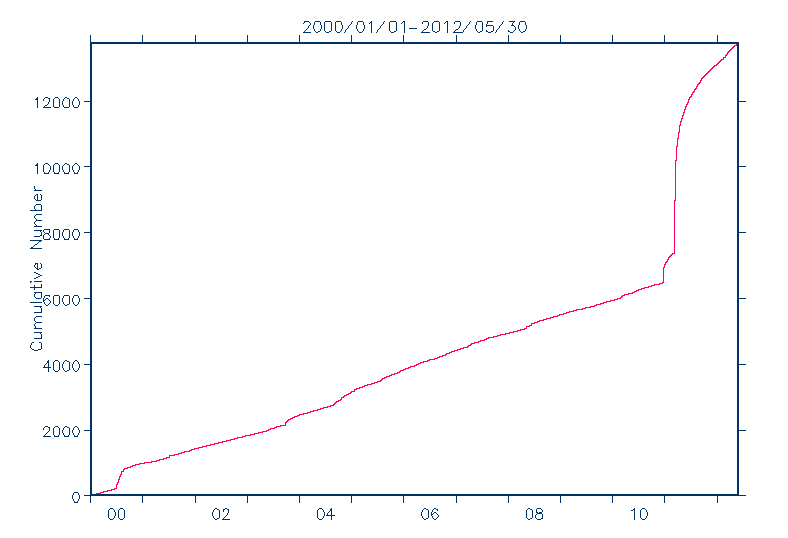 Cumulative graph that shows the number of earthquakes in Japan with magnitude higher than 4 from 2000 to 2012. Based on of ISC database. Fig. 7. 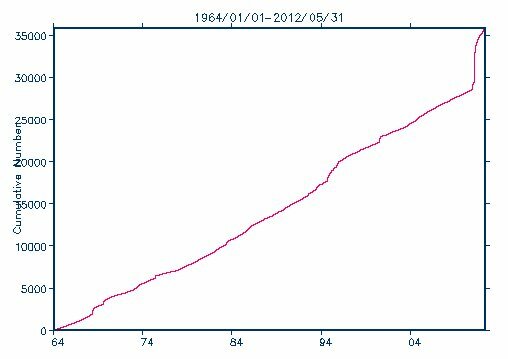 Cumulative graph depicting the number of earthquakes in USA with magnitude of 3 and higher from the years 1975 to 2015. Composed on the basis of USGS database . The red portion of the curve on Fig. 7 corresponds to the red points on the map. 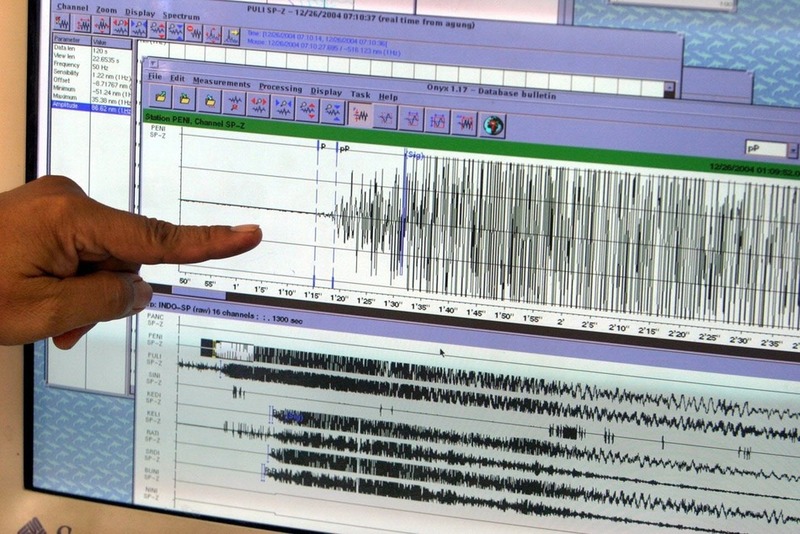 It is clearly seen that the majority of these earthquakes are localized in Oklahoma. Why? This is the central part of North American lithospheric plate, and by all laws it shouldn't be having such seismic activity! This information is quite indicative, especially if it is related to data about the coordinates of the tectonic rift on the territory of the USA that is hidden from public view. All this is covered in the report by a scientific research group of ALLATRA SCIENCE researchers "On the Problems and Consequences of Global Climate Change on Earth. 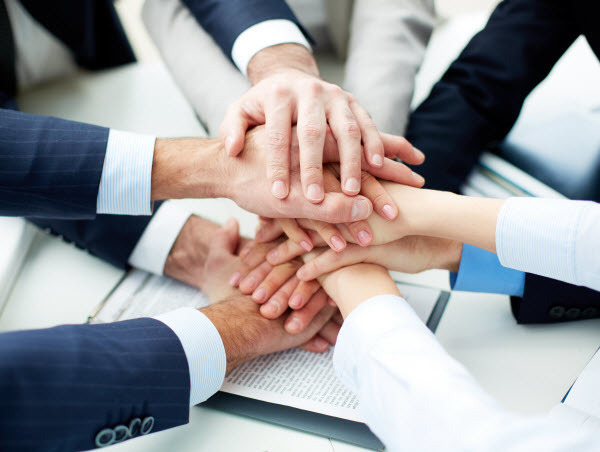 Effective Ways to Solve These Problems." . 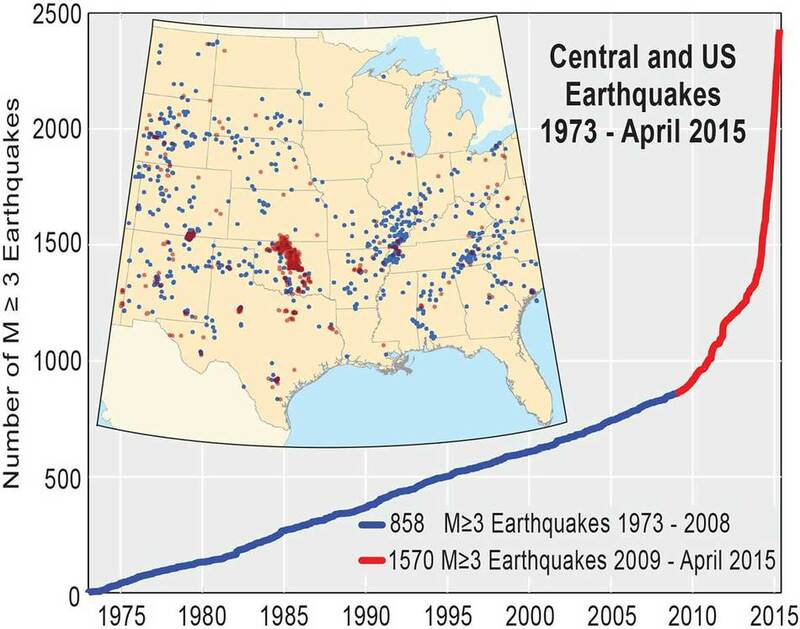 The real tectonic situation is described in the article «Earthquakes in Oklahoma: the consequence of continental rapture in North American lithospheric plate» . In addition to describing the global situation of many years, it would be worthwhile to direct attention to more recent and sobering facts of climate changes. According to the Hydrometeorological Centre of Russia, the first half of 2015 was the warmest one in the Northern Hemisphere of the whole 135-year span of weather observations. On the largest part of Russia, in the west of USA, Europe and Canada, in the Middle East, South of China and Middle Asia, the average monthly temperature exceeded the norm by 2-5 degrees. Record temperature figures were recorded on the entire territory. That means that such temperatures were reached that had not been recorded previously in this period. For example, 36 degrees Celsius in London and 49 degrees Celsius in Kalmykia. It should be understood that for the UK, Norway and Finland the 36 degree heat is a real anomaly. The following two photos, which depict the condition of icecaps of Petersens in Alaska in 1917 (on the left) and in 2015 (on the right), are also indicative of these changes. 88 years was enough for the icecap to disappear. Often a person’s consciousness paints abstract future perspectives, beyond which the person loses the very moment of life in “here and now”. But it is precisely this present moment which is the key to the development of the Personality and its formation as a spiritual being. Because it is only here and now that the accumulation of the inner spiritual wealth takes place, with which the Personality will go further once the term of service of the material shell expires. 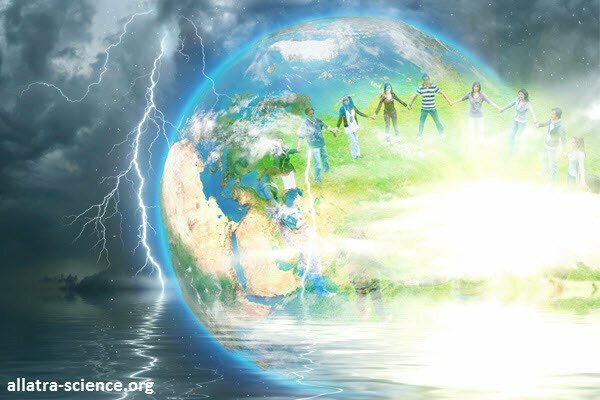 Understanding the climate situation that unfolds on the planet today, which truly and honestly can be described by the phrase “the end may come at any moment”, is a great assistance for a person on the spiritual path. After all, what can one hope for or rely on, what to build and what to wait for if tomorrow all of it may disappear? Even if you yourself may cease to exist tomorrow? In one second, this entire empire of evaluations, hopes, disappointments and self-importance, which Ego, thought by thought, has been implanting into the human mind, may disappear. All this gained “wealth” with all these “what-ifs”, “may-bes”, and “if-it-trulys” will disappear in one sudden moment. As if it never existed. Moreover, the fact is that this very moment may happen faster, much faster than consciousness assumes. So what will remain then, once everything disappears? What state you have acquired is what stays. What is the point of being afraid of this moment if it comes anyway? Is it worth fearing if it will happen anyway? The future loses its meaning when the person understands that this future may not even happen and the situation on the planet today is a great helper in understanding this. And if all the illusions of future are destroyed, and the past doesn't have any meaning, what remains with man? Here and Now. All that remains is now, in which support and salvation are present. The Personality’s attention switches to the moment of now, to the feelings of light, which it can live and experience at this moment. For if we are still alive, this means the chance is still there. And this chance is now and all the changes we can make only NOW. To acquire the state of life by the spiritual world. What it means to “acquire a state”. The life of man is a flow of states. What states he gives more attention to are the states that prevail in his day. And the task of the person who is walking along the spiritual path is to constantly keep and accumulate the state of inner joy and the sensation of unconditional Love, of the Soul, the state of life by the spiritual world, of unity and wholeness. And it is now that this state is accumulated by the Personality. Interestingly, the Russian word for “state” – “sostoyanie” – is derived from the word “composition” in the meaning of “to consist of”. State is what you consist of, what you feel – this is what you are made of at this moment. Another interesting point is that with time the word “sostoyanie” acquired figurative meanings in the Russian language, which significantly altered its initial meaning. For instance, today one can see the figurative meaning of the word “state” in the sense of material wealth, for instance, in the Russian phrase “he has made a fortune”. Nevertheless, it gives one an understanding of what the inner state is in human life. It is that which he acquires. State implies the value man has accumulated during his lifetime. And the real value that is denoted by the word “state”, which the Personality accumulates, is the inner experience of Love, gratitude, purity, and unity with the spiritual world of God. These are the feelings thanks to which the Personality begins to live by the spiritual world already during the life of the body. Knowing the meaning of word “sostoyanie” clarifies also the essence of some inner processes, the full understanding of which is, of course, not accessible to the mind or consciousness, since it lies beyond its boundaries. The word “sostoyanie” has three meanings: location and position; rank, class and status; fortune and property. From this, one can describe what state is in human life. State is the inner position, where you are. The state of love means, that you are in love. State is what you consist of; if you feel love, then you consist of love. State is who you are, when you feel love, you are love. In the end, state is what you acquire, being in this temporary illusion of matter; that is, with what you will walk out the door of this illusion, what you will take with you, and what will determine your future fate. 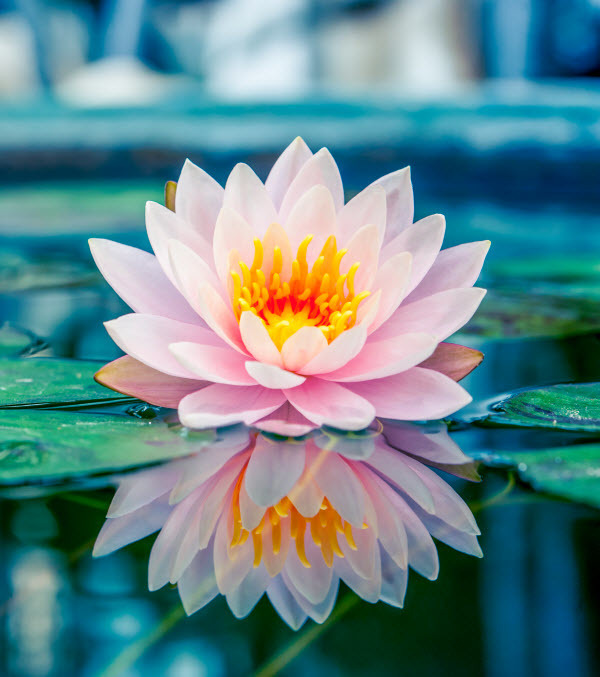 And if being in this illusion, you have acquired the state of Love and already became Love, then after the material shell disappears, you will remain that which you managed to become during this time, you will remain Love. Understanding the real climate situation as an incentive to unity and strengthening of humaneness in the global community. 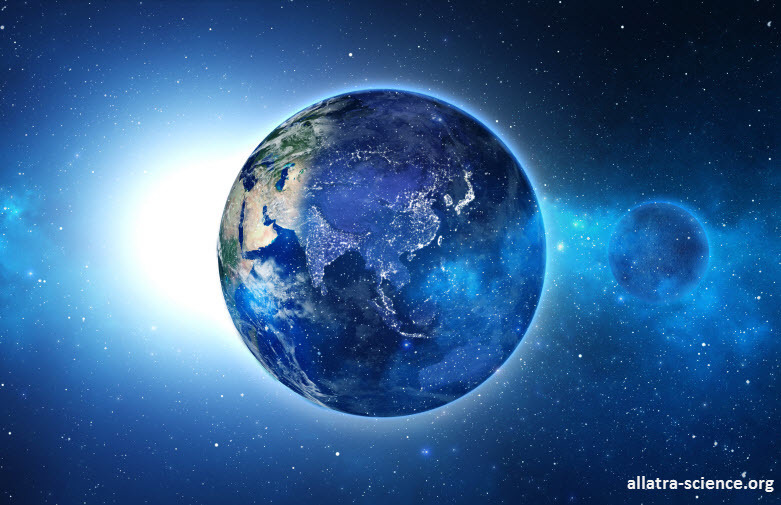 By covering the facts of cataclysms happening on the planet in the appropriate way, it becomes clear how necessary are unity today and the consolidation of the people of the world as well as the awakening of humane, attentive, and kind attitude towards each other. We are all in the same position, in one situation, and when a disaster strikes, it will affect everyone. So does it make any sense to have further squabbles, strife, inner dissatisfactions, offence and showdowns? Aspirations, mourning, regrets? Evaluation of yourself and others through the prism of yourself, which is always based on the comparison with your future or past self? If there is most likely no future and there are only fractions of moments given to us so that we could come to our senses, does it make sense to waste them on something obscure, empty and silly? After all, it is more proper to spend them on showing the feelings of kindness to each other, being happy for each other, lending a shoulder of help, and giving joy to others! So that, having united on the spiritual basis of creation here and now (and not some time later), we could establish a society of creation, a society of humane relationships and kindness. It already exists here and now, and a good example of that is ALLATRA International Public Movement, thanks to which millions of people around the world are already uniting in the activity of creation. In the light of real climate dangers of the global nature, does it make sense to have any frauds and scam affairs in science and mercenary manipulations with climate or scientific research (similar to the Kyoto protocol or the Large Hadron Collider)? After all, the best minds of humanity are involved in these shallow projects, which are linked to material ambitions of certain individuals. At that it wouldn’t be false to say that these minds often believe that they are doing the right thing, that they are helping humanity when, in fact, no real action, which can truly change something, is being done. However, directing your attention in the right direction and realizing the situation, one understands that there is definitely no point in “playing the game of science”, there is no point in pouring finances into the research which is nothing but an empty soap bubble. What really makes sense is to consolidate and look for, and find healthy ways, new approaches and real solutions aimed at a comprehensive solution of the problems of society, which affect not only the climate situation on the planet. Thanks to the report "PRIMORDIAL ALLATRA PHYSICS"  such a consolidation is already happening, and many scientists, who realize the shortcomings of the vector of development of modern science and the real climate situation as well as the need of real knowledge and research, change their life priorities and areas of scientific research without any doubts. They are engaged in real science in their spare time, when they’re free from their main job, making the decision to focus their knowledge and skills on the things that can really help people and mankind in these difficult times. We walk to each point of our lives only with the baggage we have gained up to that moment. Now we still have the opportunity to accumulate internally that estate with which each of us and mankind as a whole will come up to that threshold after which eternity begins. Thus, it becomes clear that it is really vital for modern man to learn about climate events in the correct line and get the Knowledge which forms the spiritual and creative model of the perception of information. The knowledge that helps a person to choose and maintain that inner state, which grants life to him and leads him only to life. Having a spiritual outlook, man can use any information, first of all, to develop spiritually and grow. To derive benefit from the temporal for the eternal In reality, one can extract a powerful potential for spiritual transformation from all that which consciousness tries to present to human in a tragic light. If there is the right intention, inner decision, choice and honesty before oneself, one can easily stand on the path of inner optimism, development and most importantly, acquiring the living state, the state of life by the deepest feelings. In other words already here and now, during the life of the body, to live inside himself with that which he has chosen to live by after the death of the body. Looking from this perspective on the on-going climate changes, a person understands that these external conditions are actually helping him. They help him to get rid of everything, renounce his self, let go of the “branch of doubts”* and sincerely turn inside to the true inner feeling of Love, which is the sensation of the full and unconditional being, the real life, and all-encompassing Freedom. To abide in this feeling, to live by it in each moment. Yes, a deadly cataclysm is already not an abstract “something”; it is a “real now”, which can demonstrate its most unexpected manifestation to our civilization at any moment. But at the same time this “real now” for each person is his inner state, by which he lives right in this moment, for which he has interest, and which he feeds with his attention. And now, when there is objectively no point to be sad about the past or hope for the future, there remains only here and now for the Personality. By turning his gaze to the present moment and drop by drop filling the moments of his life with Love and Gratitude, man experiences sincere deepest feelings of light. He accumulates, multiplies them, and acquires the state of the spiritual world, that state with which he will leave this temporary shell already fused entirely with the world eternal. Report “PRIMORDIAL ALLATRA PHYSICS” by the international group of scientists of ALLATRA International Public Movement under the supervision of Anastasia Novykh, 2015 http://allatra-science.org/publication/iskonnaja-fizika-allatra.